Many people think of America as the land of cities, but what about all of those breathtaking spots? It is easy to forget about the world outside of that bustling lifestyle, but we cannot, and we must take advantage of these stunning scenic spots that are right on our doorsteps. To make it easier for you, we’ve got a list of some of the most beautiful places in America that you can take a big deep breath in and relax. Known as “America’s most beautiful hiking trail” you will be graced with outstanding views and a thrilling hike. 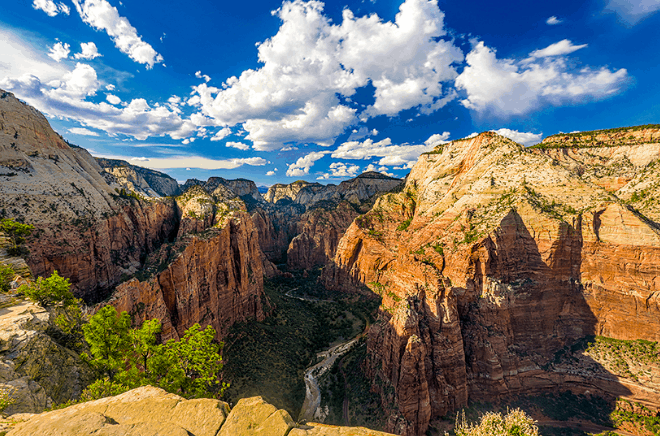 Make your way through Zion National Park up and along the walking trail, although it is only 2.4 miles in lengths, the steep stairs make it a harder feat. Be sure to tread carefully and take advantage of the rope available for holding on to. This is a place that will fill your soul with love and should definitely be on your bucket list. 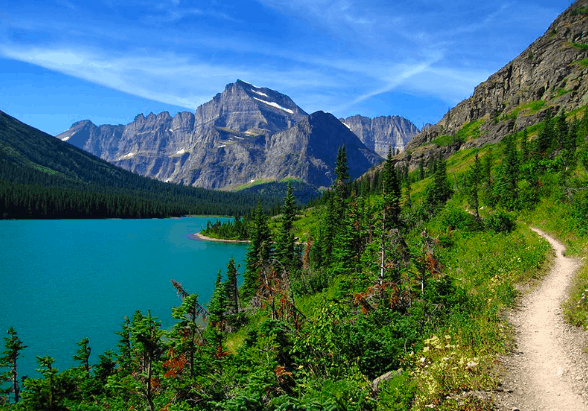 An area that makes it hard for you to believe that you are still in America, offers a breathtaking glacier view that sits opposite and above a gorgeous stretch of path with glistening green foliage either side of a turquoise lake. Out in the wilderness, you are sure to feel Zen after taking a trip to this national park. Despite the name, this national park is utterly sensational. On the eastern side of California, this valley is the hottest and lowest point in America. 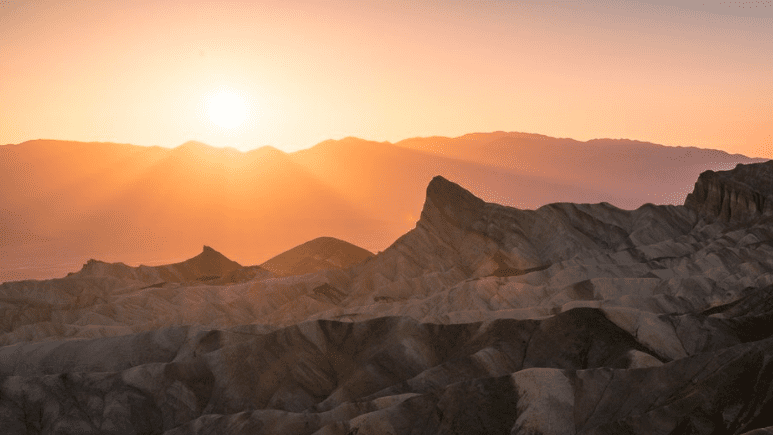 Head out with enough water and a detailed map and make your way to the Zabriskie Point where you will have a heavenly experience watching the sunset behind the vast dunes.